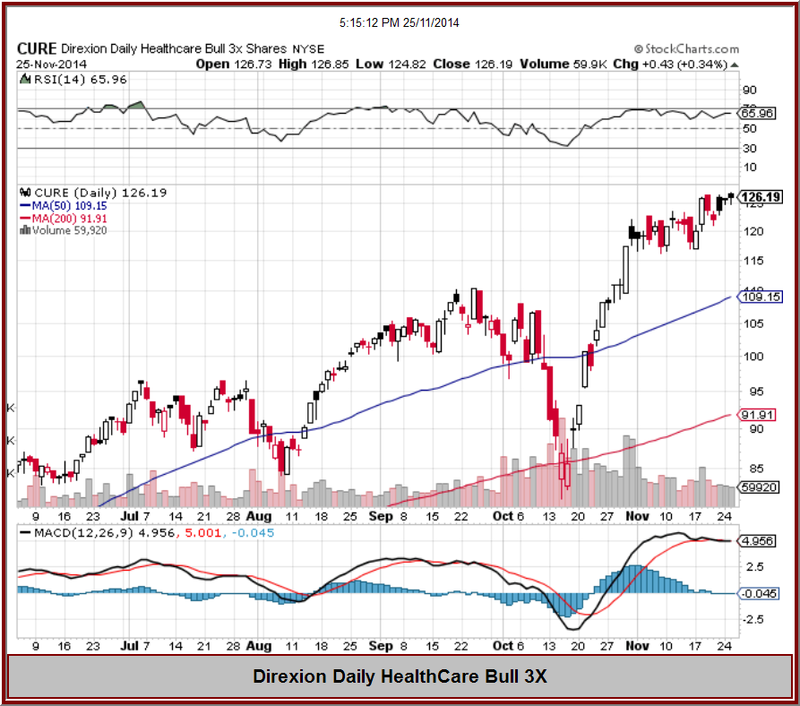 This ETF, Direxion Daily Healthcare Bull 3X ETF is showing considerable strength of late and probably deserves a close look. The Daily Healthcare Bull 3x Shares seeks daily investment results, before fees and expenses, of 300% of the performance of the S&P Health Care Select Sector Index. There is no guarantee the fund will meet its stated investment objective. Direxion Daily Healthcare Bull 3X ETF (CURE) of the Financial sector (Exchange Traded Fund) lost -2.75%, a change from open of -3.5700% ($-3.23 per share) at the close of the normal trading day Friday with a volume of 95712 shares. Direxion Daily Healthcare Bull 3X ETF (CURE) ended the day at $117.43 with a market cap of , insider ownership of , volume of 095,712 and a weekly performance of 2.84%. 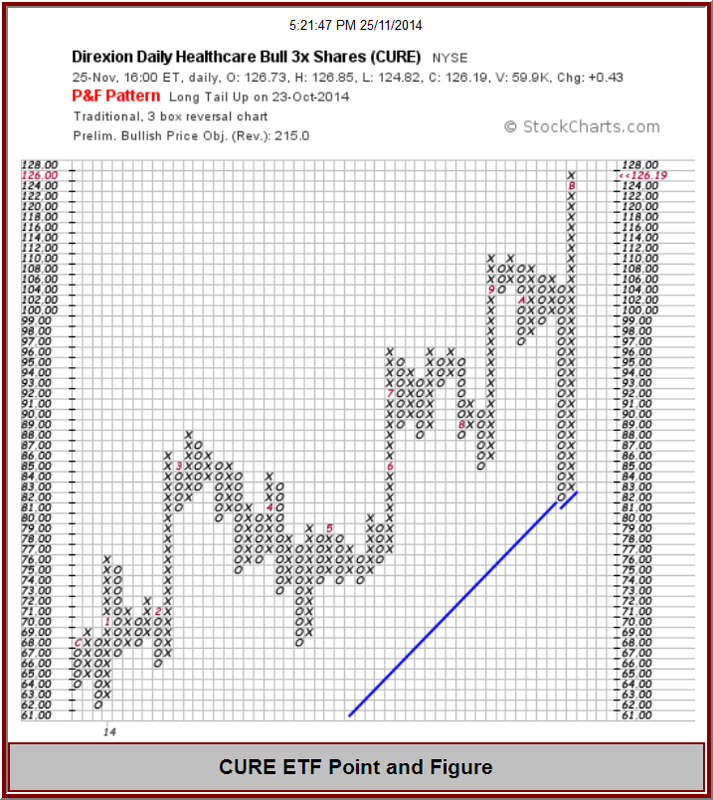 Direxion Daily Healthcare Bull 3X ETF (CURE)’S monthly performance stands at 13.27% and Direxion Daily Healthcare Bull 3X ETF (CURE) is considered a stock to watch for the upcoming trading day. Here is a chart made after the close on Tuesday Nov 25, you can see that this stock has had a long advance and is still very strong. 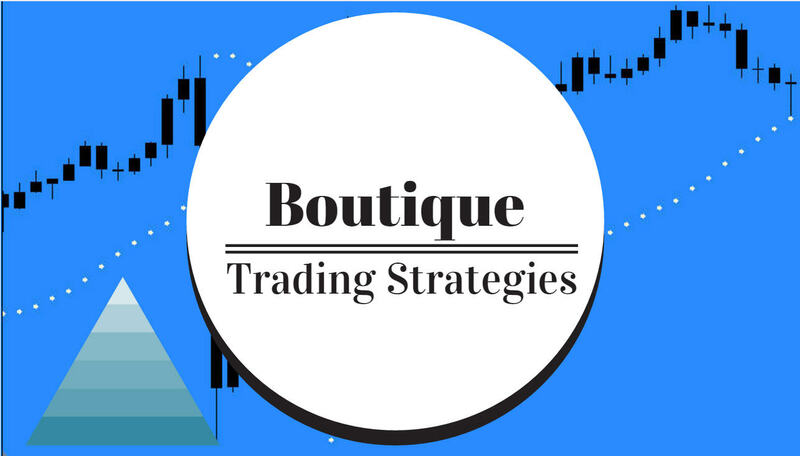 This ETF is certainly deserving of a place in your watchlist and may well become a part of your trading strategy.